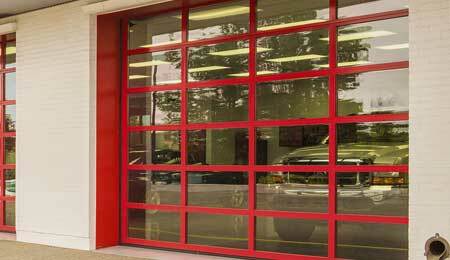 Are you looking for commercial aluminum garage doors in Virginia? Capital Garage Works offers a large variety of aluminum garage doors and installation options to companies in Maryland, Virginia or Washington DC. Our wide selection of garage doors will meet your needs for security, functionality and durability. 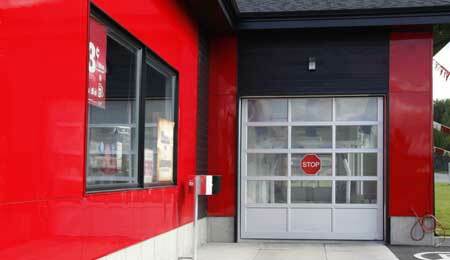 Capital Garage Works’s aluminum garage doors offer many advantages to businesses. Their glass panels allow light to pass into your workspace, brightening the environment and reducing lighting costs. They also allow people outside your business to see inside, allowing you to show off whatever you choose to display. An aluminum garage door’s glass windows can be highly effective insulation choices and can reduce heating and cooling costs. Additionally, aluminum garage doors are light weight, making them easy to open and close. Finally, aluminum garage doors and are extremely water resistant. Capital Garage Works offers free consultations to help you understand your options. The size and shape of your work space, the nature of your business and the types of risks you face will all be evaluated and we will help you find an aluminum garage door that is both effective and affordable. Capital Garage Works stands behind our work. Our installations for aluminum garage doors come with great warranties. We offer repair services 24 hours a day and seven days a week. To request a free quote for aluminum garage doors in Virginia, contact us at (888) 339-3059. Capital Garage Works – Your trusted source for aluminum garage doors in Virginia.